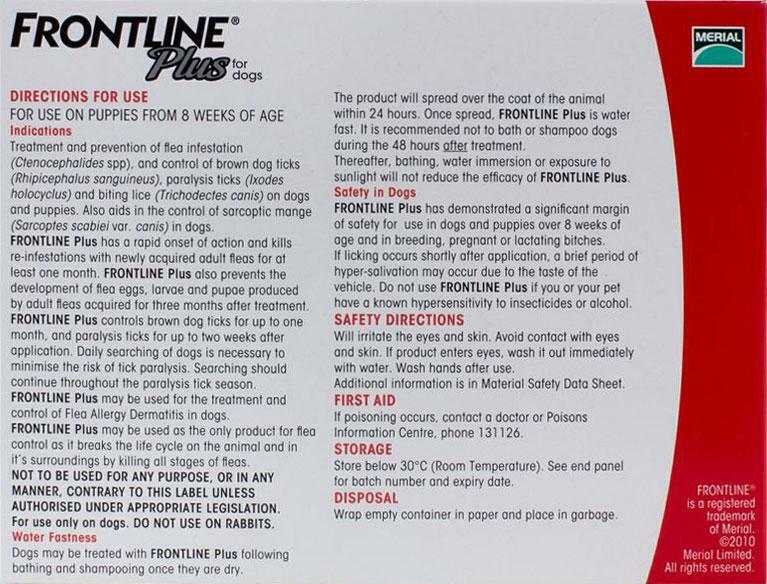 Frontline Plus for XL dogs prevents fleas and ticks. This treatment is a spot on application, and the package comes with a convenient applicator so your dog can be treated quickly and get back to chasing squirrels, rolling in the dirt, and whatever other canine activities he can manage without getting into too much trouble. That could cause by different reasons. We recommend you to get advise from your vet. Will this product kill deer ticks...lyme disease carrying ticks? Yes Frontline plus kill deer ticks too.